At the start of the 2016-2017 school year, St. Jude Thaddeus Catholic School will be celebrating its 100 year anniversary. 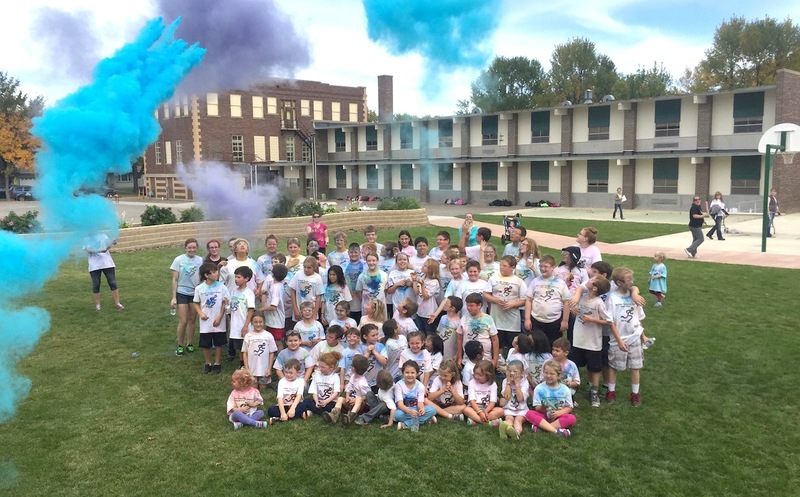 The school, an extension of the St. Jude Thaddeus Catholic Church, teaches preschool through 8th grade with an emphasis on community, cooperation, and service to others. “It’s very much a family atmosphere,” says Kathryn Tilleman, development director at St. Jude’s. “Our school offers a small classroom setting with more individualization and opportunities for older students and younger students to work together.” Whereas Havre public schools separate students in different buildings by grade, St. Jude’s allows for interaction and mentorship between older and younger kids. Students attend mass weekly and work together on various service projects. For instance, every first Friday of the month, students are bussed to Northern Montana Care Center to bring joy to the residents. Twice a year, students participate in a food drive for the food bank, and at Thanksgiving, St. Jude’s Catholic Church serve meals to the Last Christmas, the local Walmart provided the school with grant money so that each student could spend $15 on a needy child, and during Lent, students filled baby bottles full of spare change to donate to the Hi-Line Pregnancy Center. The students’ service to others reflects that of the school’s namesake, Saint Jude Thaddeus, the patron saint of desperate causes. In Christian tradition, Jude Thaddeus is one of Jesus’ more obscure disciples, often confused for Judas Iscariot due to the similarity of their names. Because he was mistaken for Christ’s traitor, Jude was rarely called upon and became eager to assist any who asked him, to the point of intervening in the direst of circumstances. St. Jude Thaddeus Catholic School has existed almost as long as the church, which was founded in 1904. In fact, the current church was built in 1924, making it younger than the school. St. Jude’s looks forward to celebrating the centennial of the school in a variety of ways, starting in September during Havre Festival Days. On Friday and Saturday of the community celebration, St. Jude’s will host a barbeque in their school parking lot. Cars in the lot may be sporting new, St. Jude’s license plates, available in July in honor of the centennial. St. Jude Thaddeus Catholic School is located at 430 7th Avenue in Havre. For more information, visit stjudeschoolmt.org or call (406) 265-4613. St. Jude Thaddeus Catholic Church is located at 440 7th Avenue. Services are on Saturday at 5pm and Sunday at 9:30am. For more information, visit stjudehavre.org or call (406) 265-4261.